Sherlock Holmes is retired and in a foul mood. It’s 1922, and Dr. Watson’s granddaughter, Dot, has been trying to edit the old detective’s long-awaited memoirs. But Holmes fears his best days are past and that the future holds little promise for him. Everything changes, however, when two neighbor girls, Milly and Maggie Turner, beseech him to find their missing father. They insist he would never just run off and leave their mother, who is convalescing after an automobile accident. It’s not long before Holmes learns their father has been accused of stealing expensive jewelry from the store he managed. The local constable is sure the girls’ father has taken flight because he’s guilty. 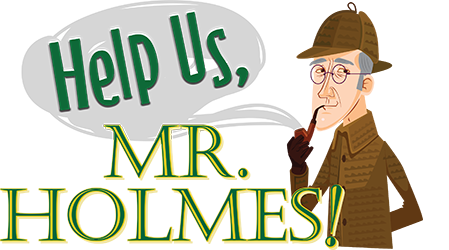 Read more...But Holmes — with the reluctant help of Dot — digs a bit deeper and uncovers a clever plot which needs an even shrewder trick to expose. A revitalized Holmes returns the girls’ father, just in time to celebrate their mother’s birthday. He has saved their father, but it seems finding their father has also saved Mr. Holmes.